In phase 2 we will to continue to test APIs identified as being of concern during phase 1. Factors determining bioconcentration, degradation and the kinetics of APIs will also be explored. Novel, powerful DNA sequencing approaches will be applied to compare risks for antibiotic resistance promotion in environments with different degrees of pollution. Substitution processes and suggestions for novel regulatory testing requirements will be further developed. 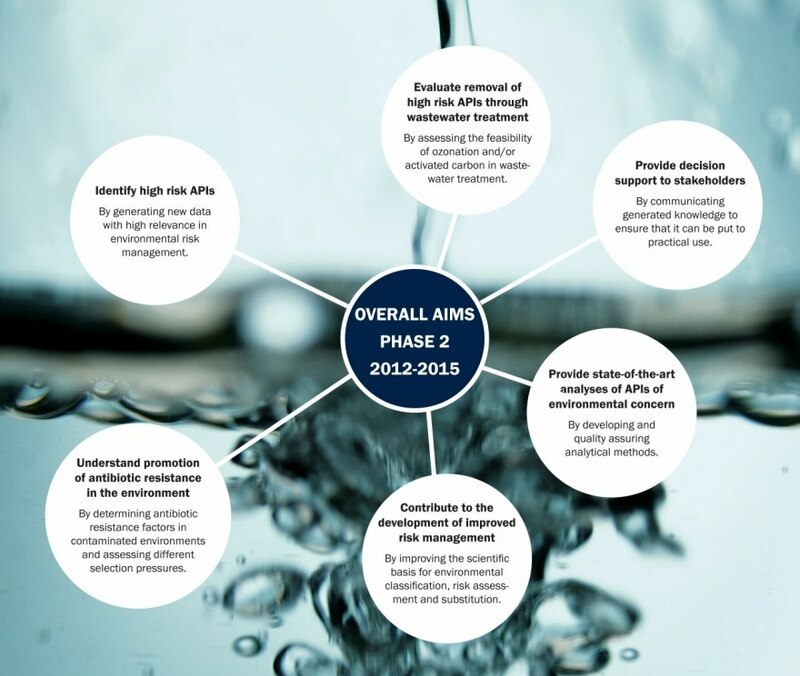 Advanced effluent treatment technologies will be more fine-tuned and brought closer to potential implementation. Different types of up-stream risk management will also be explored including improved test requirements, risk assessments for groups of APIs, and the feasibility of substitution. Finally, MistraPharma will continue to serve stakeholders and deliver scientifically founded advice. Our overall aims are highlighted below. For a full list of scientific publications click here. Books and brochures can be found here.